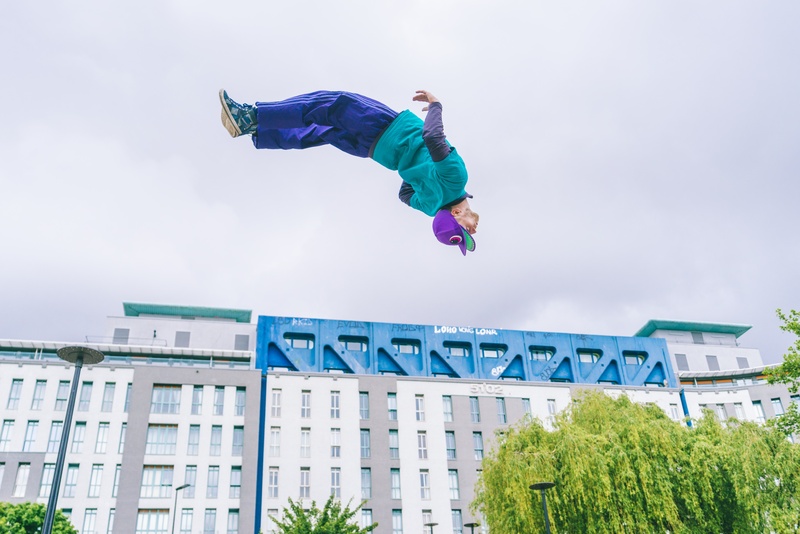 We’re getting excited about our plans for Autumn 2019 which will see Circus City take over Bristol for the 3rd time. This year will see us once again partnering with European artists, companies, funding bodies, embassies and industry organisations. Contemporary circus is thriving in Europe and we will work hard to make sure that we can continue to collaborate with our partners to share performance from around the EU whatever happens in the next few months. It has taken me a little while to write this. Yes, I’m leaving Circus City Festival. I have loved working in our great city the last 10 years, but it’s time to move on to European pastures new. The UK voted Brexit and unfortunately that makes life quite difficult for some of us. I’ve been Co-Director together with Kate the last 5 years and it’s really been an absolute pleasure. What Circus City has achieved with the support of funders, partners, artists, colleagues, volunteers and audiences in a very short amount of time is truly remarkable. Thank you for this vote of confidence! The spirit of can do and collectivity of Bristol is rare and beautiful. As much as Brexit is quite depressing not all stories end in tears. 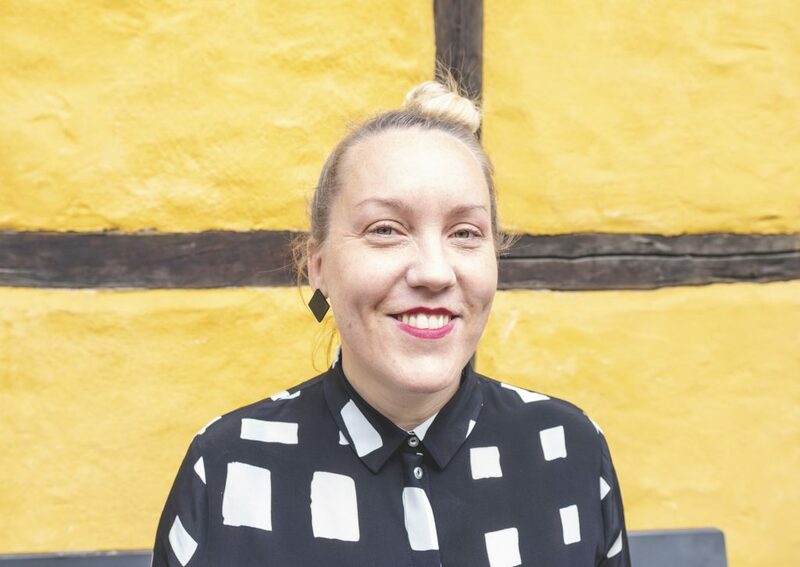 I’m currently working with two international networks; being Coordinator of Baltic Nordic Circus Network (BNCN) and Partnership Manager for Trans Europe Halles (TEH). So keep in touch! See you on the continent! After a brilliant two weeks with over 85 events in 20 venues our biennial festival has come to an end for this time! It’s wrap from Circus City for another two years! We have so many people to thank for making this year’s festival such a resounding success – all of the performers, audiences, volunteers, crew, sponsors, funders and venues. Much more on that over the coming days but for now a MASSIVE THANK YOU to everyone involved! We want to ask everyone who came to a show or an event in Circus City 2017 to fill in our short audience survey which allows us to report back to our funders about the work we have done and include your thoughts! There is a price draw for voucher price of £50 for one person to win for those of you who complete the survey before 12th of November! The voucher can be used in a variety of shops. Circus City festival is offering and opportunity to take part in a three-day development workshop from 19-21st October 2017, actively exploring critical languages around circus arts and ways to talk about work effectively. Places are FREE (limited capacity). The scheme is run by Kate Kavanaugh of the Circus Diaries in collaboration with Circus City. Applications must be received by 30th September, but places will be allocated on a first-come first-served basis as and when we receive suitable applications. A full schedule of activity will be available after the application process has closed, and will include visits to The Bekkrell Effect (Thurs 19th), Longshot (Fri 20th) and Swing Circus (Sat 21st). If you have any queries please email CircusVoices@bristolcircuscity.com. Circus City is teaming up with Circomedia and Trinity Centre to present 3 short pieces of circus theatre from individuals/companies. As a leading circus festival in the UK, Circus City is committed to supporting and showcasing the next generation of circus performers and companies. Circus Shorts will provide a platform for ground floor acts of no more than 15 – 20 minutes. This can either be; an extract from a full length piece, a self contained 15 – 20 minute piece. The audience will be public, with invites extended to industry professionals. – A platform to present at Circus Shorts on Friday 27th October at Trinity Centre, Bristol. – A 3 days residency at Circomedia for rehearsals/R&D new work which the artist/s would like to develop. This can be a new piece and ideally not same piece which is being presented within the Circus Shorts programme, but to use as a way of developing something new. 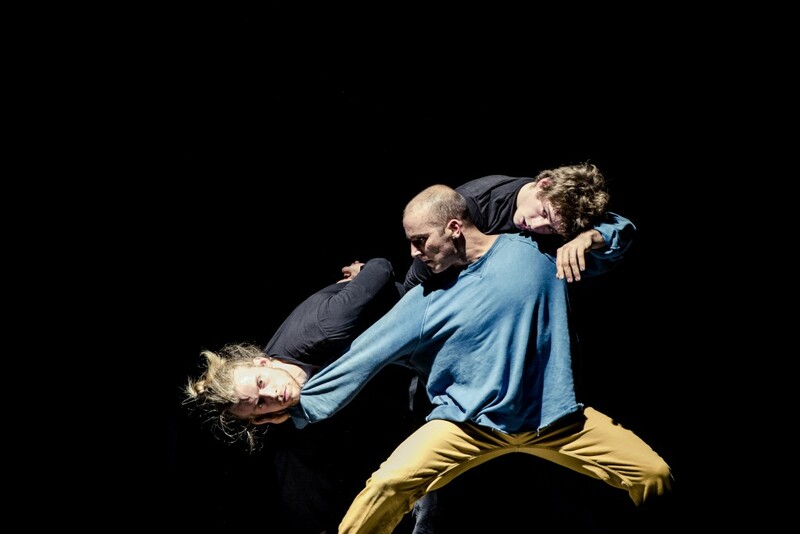 – Feedback from Co-Directors Lina B. Frank / Kate Hartoch and Nicolas Young Artistic and Managing Director of Circomedia. Please submit a short proposal (max 800 words) which includes a description of the piece you would like to present and information on what you would use the residency for. – Technical Specifications for the piece. It needs to be a ground floor piece. The deadline for applications is: 10am on Monday 18th September. Selected applicants will be notified by: Tuesday 26th September. Please note to be considered you must be available for the entire day on the 27th of October. We’re back this October (12th to 29th) with an ambitious programme of shows, interactive events, workshops, talks and much more taking place at over 15 locations across Bristol. 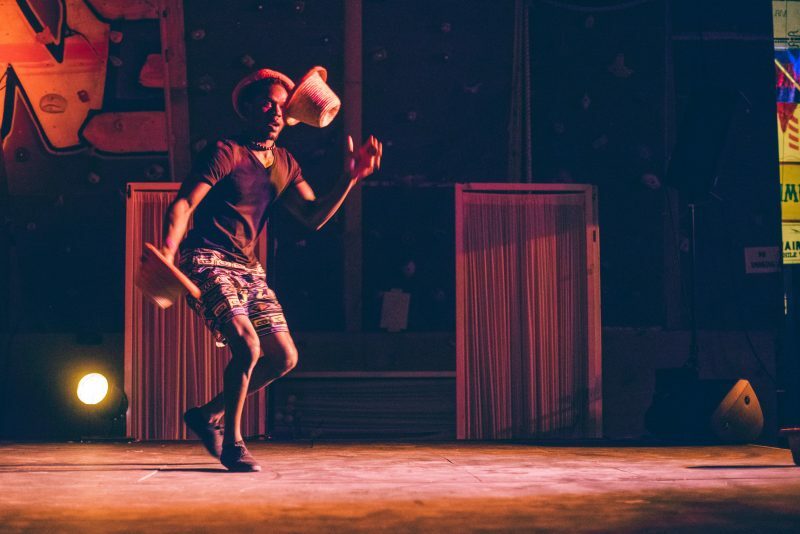 Circus City is the UK’s fastest growing circus festival, attracting the very best contemporary circus from across the globe and showcasing Bristol’s abundant homegrown talent. 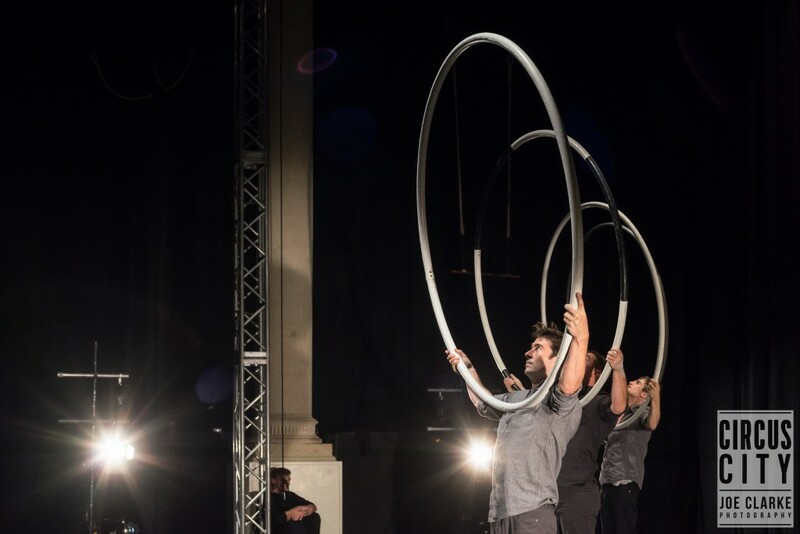 Circus City aims to put Bristol on the map as an international capital of contemporary circus. One of this year’s big highlights is a collaboration with Bristol Old Vic bringing the critically acclaimed French show, The Bekkrell Effect, to Bristol for its UK premiere. Inspired by physicist Henri Becquerel’s discovery of radioactivity, The Bekkrell Effect is an all-female show described as ‘part riot grrrl pop song, part circus spectacle…combining the power of punk with risk and flare’. Circomedia’s performance space – a converted church in St Pauls – will host a number of events including Fauna, the Adelaide Fringe award winning show featuring ‘wild creatures in a beautifully controlled acrobatic story’; Yablochkov Candle, a cabaret show from Finland combining jazz and aerial performance and Around, a family show about the life of a small circus group accompanied by live music. 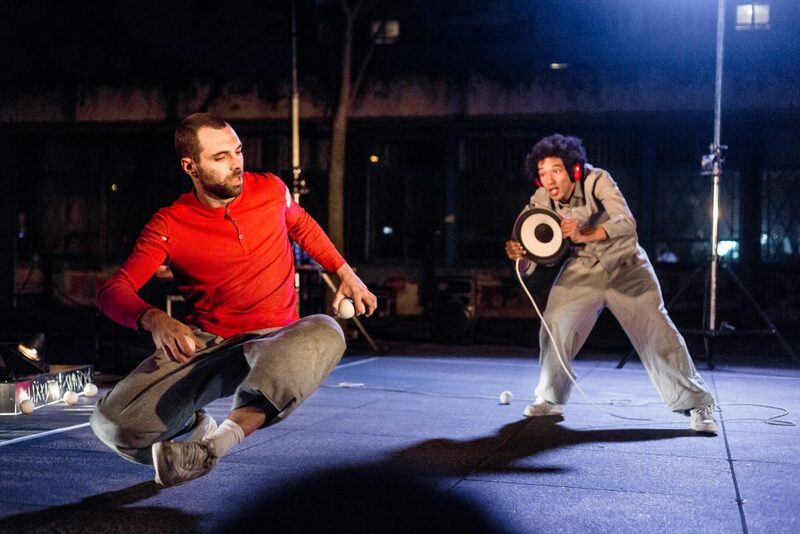 The trailblazing aerial theatre company, Okham’s Razor, will bring their Edinburgh Festival award-winning show, Tipping Point, to the 1532 Theatre at Bristol Grammar School. Described as ‘a feast of high risk brilliance performed with grace and power’, five performers transform seemingly simple metal poles into a rich landscape of images. Circus is a powerful medium for storytelling and there are two shows in the programme which are particularly personal and poignant. 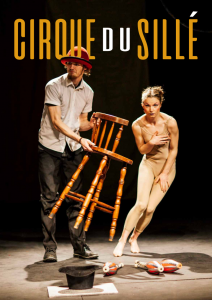 As a Tiger in the Jungle tells the moving story of being trafficked into Indian Circus from Kathmandu and Nepal and in He Ain’t Heavy, Grania Pickard uses physical theatre, aerial circus and audience interaction to tell the story of growing up with her disabled, autistic brother Sean. The Trinity Centre is another of our key venues with Swing Circus staging a weekend extravaganza of swing dance featuring circus and dance shows, specialist choreographers and workshops to get your toes tapping. And in a major coup for the festival, Circus City 2017 is sponsored by Dash: Digital Currency, making it the first major arts event to be sponsored by a cryptocurrency. During the festival visitors will be able to spend Dash at the Milk Bar, our hub in Old Market, and on selected events and products. For further information and booking visit our What’s On page.